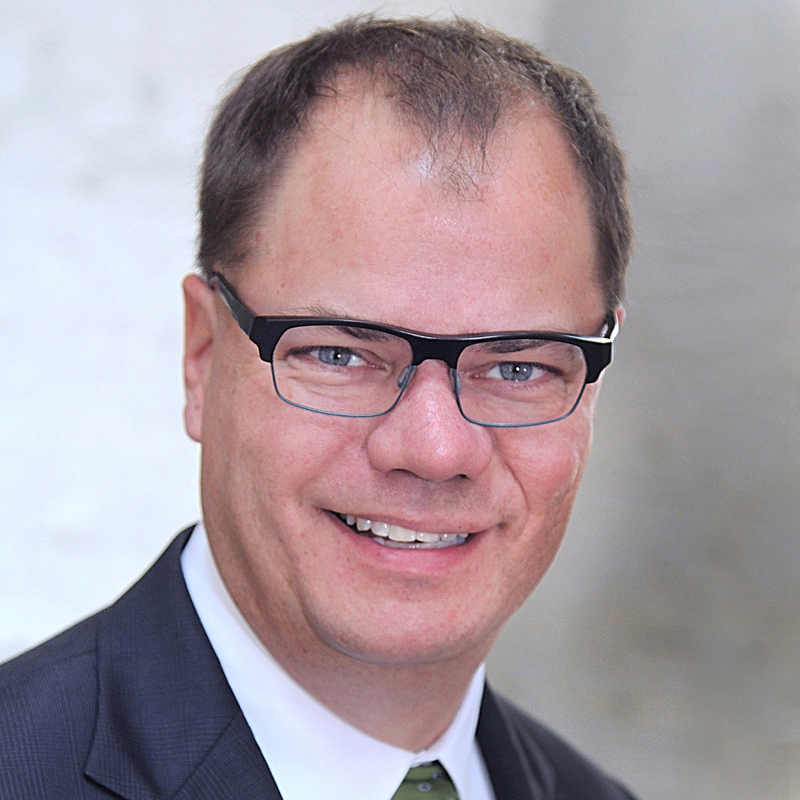 Sean Brewster joined AICUO as the Events and Office Manager in September 2017, after serving as Executive Director of the Westerville Symphony for almost three years. Sean is an administrator who engages independent universities, nonprofit organizations, professionals, and students through educational, social, and cultural programs and events. As a 2015 graduate of Otterbein University (B.A. Music & Business), Sean strongly believes in the transformational value of a liberal arts education. He knows that Ohio’s private colleges and universities greatly enhance the quality of life for everyone and particularly for the communities in which they are located. As the 2015 coordinator of the AICUO Award for Excellence in the Visual Arts (EVAs), Sean is excited to work at the Association once again. 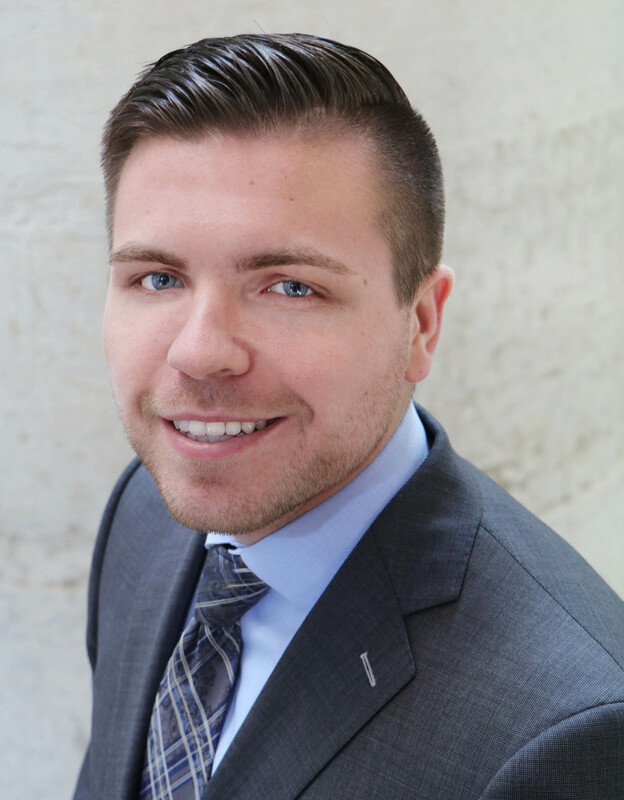 Sean is especially passionate about propelling the arts, and specifically the AICUO EVAs, to succeed and thrive within the Central Ohio community. Sean is responsible for coordinating AICUO events, overseeing daily office activities, and creatively directing AICUO’s social media channels. Connect with AICUO and Sean on Instagram, LinkedIn, or Twitter. When he’s not crafting witty tweets or answering AICUO’s phone, you can find Sean cooking elaborate dinners for friends, attending the latest classical or pop music concert, practicing the flute, or reading anything from classic cookbooks to epic fantasy novels. Stacey Dorr joined AICUO's central staff in 2006 with extensive experience in non-profit communications. She previously worked with the Toledo Metropolitan Area Council of Governments, PBS and The Columbus Community Clinical Oncology Program and is a graduate of Bowling Green State University, B.S. (Public Relations). Stacey is responsible for all internal and external association communications, including major publications such as the Counselor's Guide and annual report, daily news clips service, weekly Association update correspondence, and the AICUO, OhioPrivateColleges.com, and AICUO Art Awards Web sites. 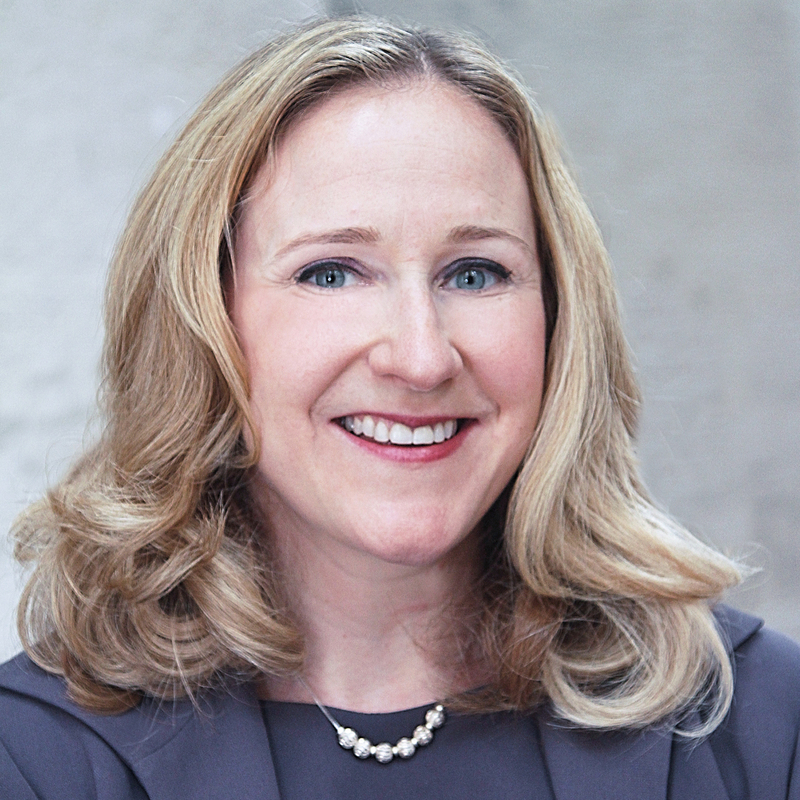 She also coordinates all AICUO member professional development meetings and manages the implementation of all strategic communications efforts to better serve AICUO's 50 members and our organizational mission. She serves as liaison to many statewide groups including the Ohio Private College Admissions Directors group, the Ohio Association for College Admission Counseling (OACAC), and the Independent College Advancement Associates, and was honored early in her career at AICUO with the New Member Award from OACAC for her work on their Annual Conference. Stacey oversees the annual AICUO Award for Excellence in the Visual Arts and the internship program at AICUO. She has presented her work with grassroots campaigns during a budget crisis and campus emergency preparedness to national groups including the National Association of Independent Colleges and Universities State Executives State-National Information Network. Stacey is a member of the Public Relations Society of America and serves as a mentor for college students interested in beginning a career in public relations. Manilath James brings more than fifteen years of community relations, business development and marketing experience to her role as the Director of External Relations for the AICUO. She is responsible for building strategic alliances with key suppliers and collaborative working groups to bring opportunities of procurement for member campuses. She also develops programs for professional development and manages the implementation of energy efficiency programs. She previously served as the Community Outreach Manager at Efficiency Smart, a program of the Vermont Energy Investment Corporation. She was responsible for developing collaborative partnerships with local government organizations, educational institutions, businesses and community organizations to increase awareness of energy efficiency programs. She also executed a comprehensive public affairs campaign to enhance energy justice initiatives to vulnerable populations. 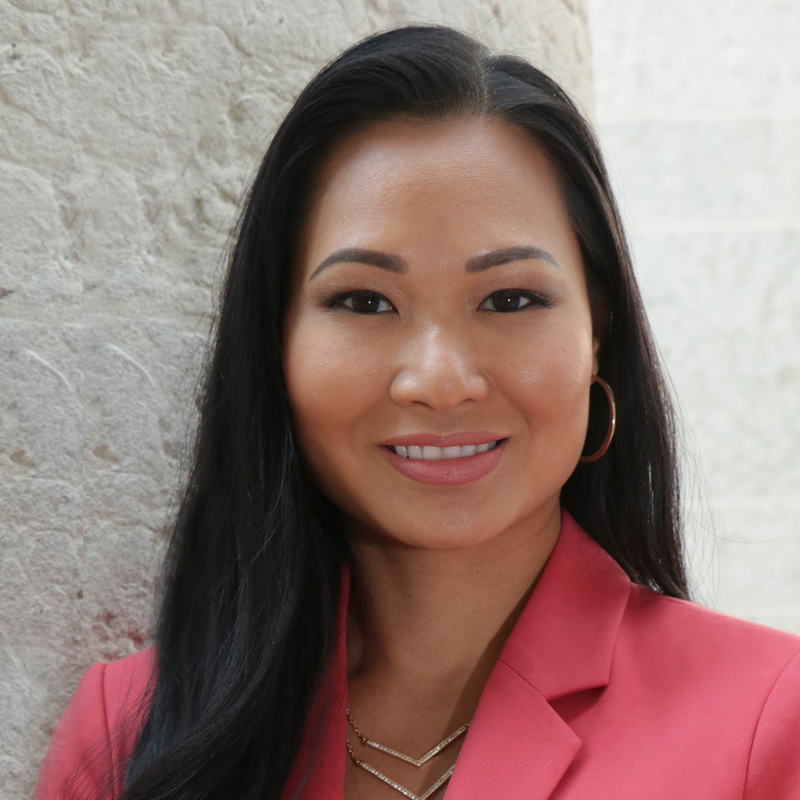 Prior to joining Efficiency Smart, she gained experience working in the public sector in her role in consumer protection and public affairs with the Ohio Attorney General’s Office. She represented the Attorney General as a spokesperson in community and interagency task forces bringing together government organizations, business associations, and nonprofit agencies to protect the interest of Ohio consumers. Manilath is a proud graduate of Otterbein University and holds a Bachelor of Arts in Business Administration, with a concentration in Marketing and Public Relations. When she is not busy building community relationships, she is a fitness fanatic that enjoys traveling with her family. C. Todd Jones became President and General Counsel of the Association of Independent Colleges and Universities of Ohio (AICUO) on November 1, 2005. A leading advocate for nonprofit higher education institutions and their students, he has served Ohio and nationally, helping lead changes that strengthen higher education institutions, make education more attainable and more affordable, and build lasting coalitions and collaborations. During that time, Jones has led numerous government relations efforts that supported increases in need-based aid to students and ensured that independent college students can continue to access Ohio programs. His leadership has been recognized nationally, serving both as an Obama and Trump-administration appointee to the U.S. Department of Education's negotiated rulemaking sessions on Program Integrity and Gainful Employment, respectively, representing the independent-college sector. Jones served as president of the National Association of Independent College and University State Executives, a board member of the National Association of Independent Colleges and Universities (NAICU), and since 2011, as served on NAICU’s acclaimed Legal Services Review Panel. Jones served as a gubernatorial appointee on Ohio's State Board of Education from 2011-2017. He served as a member of the board’s three-member leadership team and its Executive Committee during his entire tenure. He also chaired key committees, leading to the creation of two separate sets of high school graduation requirements and to Ohio’s new honors diploma system, to the establishment of the state’s first rules on the use of restraint-and-seclusion, and to the revision of its gifted education operating standards. He also played a key role in the selection of three state superintendents of instruction, and the creation of Ohio’s school district report card. Jones joined AICUO after serving nearly four and a half years as a member of the Bush administration in the U.S. Department of Education. During his final three years, he oversaw policy development and budgeting for over $110 billion in federal spending as the Associate Deputy Secretary for Budget. Prior to that, he served as Deputy Assistant Secretary for Enforcement in the Office for Civil Rights (OCR) managing 670 staff in a dozen offices, including a period where he was delegated the functions of Assistant Secretary for OCR. While working at OCR, Jones served simultaneously as Executive Director of the President's Commission on Excellence in Special Education. That commission's recommendations served as the core framework for the Individuals with Disabilities Education Improvement Act of 2004. Before joining in the administration, Jones was the President of the National Education Knowledge Industry Association. He also served as an attorney on the staff of the House Committee on Education and the Workforce. In that capacity, he was the chief staff negotiator of the landmark Individuals with Disabilities Education Act Amendments of 1997, and helped develop legislation that was enacted as the Higher Education Act Amendments of 1998. Prior to that, he served as Assistant Counsel for the American Rehabilitation Association. Jones holds a B.S.B.A. and J.D. from the University of Denver and an LL.M. from Georgetown University Law Center. He holds an honorary Doctor of Laws from Mount Carmel College of Nursing, and is a member of the Ohio, District of Columbia, and Colorado Bars. Jones is a member of the board of the Crew Soccer Foundation. 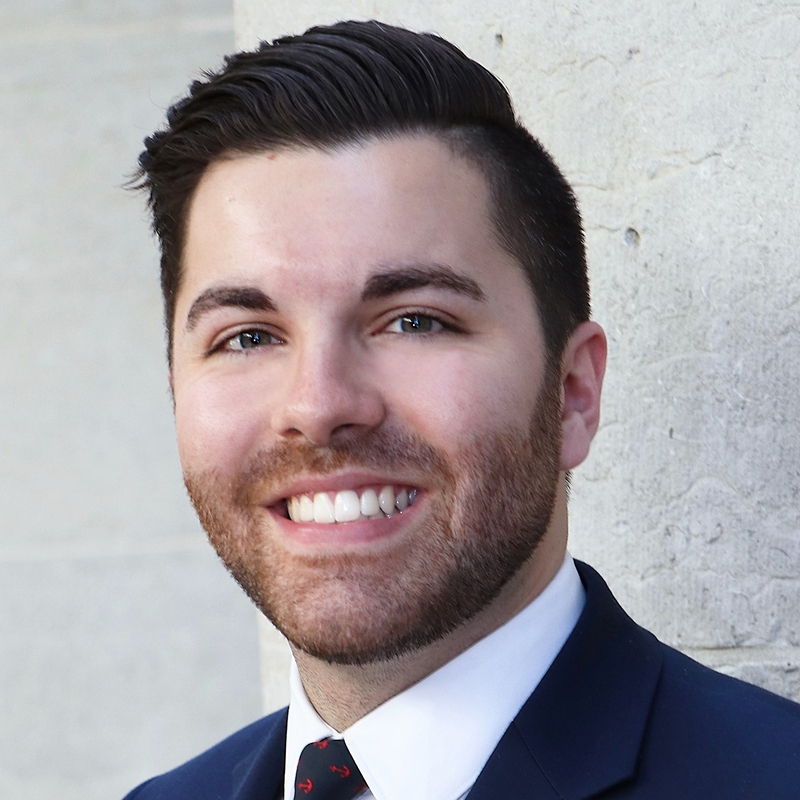 Eric Leach joined AICUO in 2019 after serving two years in the Ohio House of Representatives as former Assistant Majority Whip Bill Reineke’s Senior Legislative Aide and serving former Transportation Committee Chairman Doug Green. Eric was the managing author of the Transportation Committee’s Autonomous & Connected Vehicle report, which was published in December 2018. Further, he was the lead House staffer on autonomous and connected vehicle technology policy. Beyond autonomous vehicle policy, Eric specialized in advanced technology and workforce development policy, specifically how advanced technology will affect Ohio’s labor market. Before his time working at the Statehouse, Eric served as a Data Analyst & Media Buyer at The Strategy Group Company during the 2014 and 2016 elections and as a Data Analyst for Uber, focusing on labor analytics. Eric is responsible for providing research and assistance with policy development to the association. As Director of Research and Policy, he evaluates and summarizes legislation, develops white papers for AICUO and its members, creates geocoding maps for the association’s use, and oversees the production and distribution of the AICUO Graph of the Week. Eric is a graduate of the University of Nevada, Las Vegas with a B.A. in Political Science and a specialization in energy and natural resource policy. Eric enjoys staying fit and traveling often. If it is the weekend, you will most likely catch him in the Short North. Emily Tully joined AICUO in 2014 after spending three years in Washington, D.C. as the Senior Policy Advisor for a Congressman from Ohio. Previous to working on Capitol Hill, Emily spent 5 years in state government working for two different members in the Ohio House of Representatives and the Ohio Senate. Emily also managed a successful congressional campaign in 2010 before moving to D.C.
Emily is responsible for advocating AICUO's policy and regulatory priorities. As Vice President of Government Relations, she lobbies the executive and legislative branches on behalf of AICUO members and crafts policy to reflect member interests. Emily is also responsible for coordinating Independent College Day on Capitol Square. 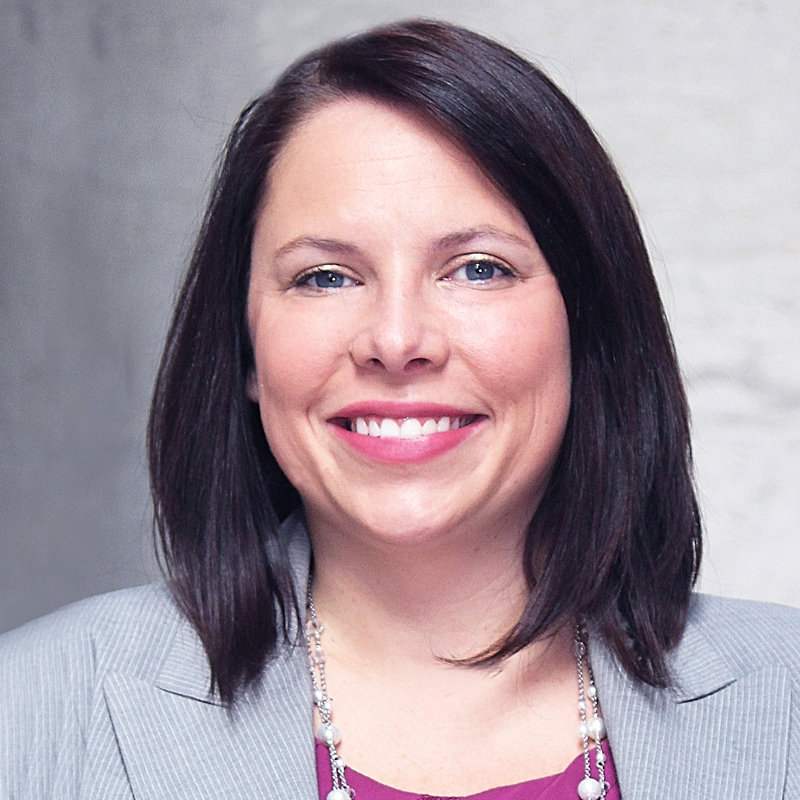 Emily graduated from Ashland University in 2005 with a double major in speech communication and political science. Emily grew up surrounded by higher education with both of her parents employed in the field.